This beautiful movie will touch deep into your heart and you’ll know the story of this girl named Rapunzel. 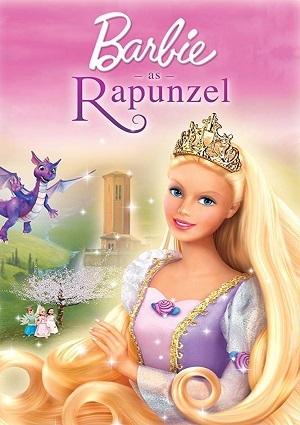 Rapunzel is a young lady with long beautiful hair, who lives locked inside a castle by a wicked witch named Gothel. Rapunzel is a prisoner and she only has her two best friends: a bunny and baby dragon, they always encourage Rapunzel to do what she loves the most: to paint. But Gothel disapproves Rapunzel’s hobbies. Rapunzel’s life is about to change one day, along with her best friends, when she discovers a beautiful comb that has something written on it: a message from her parents. With the comb in her hands, Rapunzel gets out of the castle where she was being held captive. She is thrilled to know the world, a beautiful world with castles and princesses! But the evil witch Gothel is coming and Rapunzel must be strong and never give up, she dreams to be free. However something horrible await her! Gothel curses Rapunzel, but the life has prepare her a big surprise. The young lady and her beautiful hair will be safe when she meets a young boy she had seen before, he turned out to be the Prince Stefan who will fight for her and their love.